Although I had a great time exploring stencils in April’s class yesterday, I missed using my own imagery. Flowers and insects are great, but I missed hamsas and pomegranates. So I decided to make some of my own. 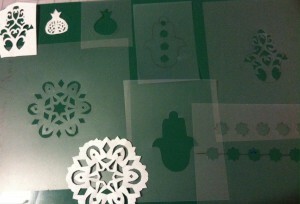 Here are some of my new stencils. Most are make of plastic, but the white ones are freezer paper. I’m going to another stencil class with April Sproule on Monday. I’m going to try out these stencils there. I don’t know if the freezer paper will work. It might be good for a single use. 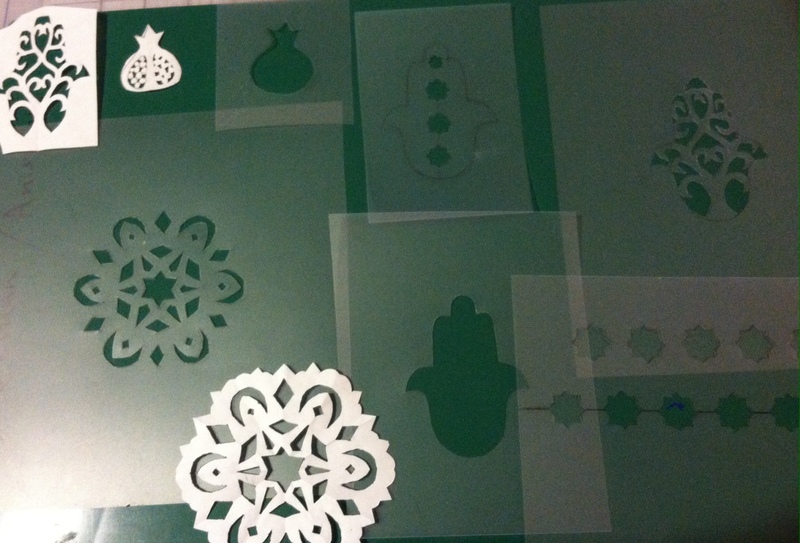 This entry was posted in Classes, hamsa, Work In Progress and tagged April Sproule. Bookmark the permalink.